Reducing unsecured debt can help make families more financially secure. 1. What Happens If I Do Not Pay My Unsecured Debt? 2. What Does "Secured Creditors" Mean? 3. I Owe a City Government Money: Could They Withhold My Income Taxes? American unsecured debt topped $2.72 trillion in September 2012. Approximately $244 billion of that debt was in some stage of delinquency. While this type of debt -- which includes credit card debt, medical bills, utility bills and any other type of loan not secured by an asset -- can allow families to leverage their income for a higher quality of life and to cover unexpected expenses, the added monthly payments decrease the amount of spending money available. Reducing your unsecured debt allows you to free up discretionary income for saving or investing. Review your monthly income and expenses. Identify fixed expenses, such as mortgage payments, and variable expenses, such as entertainment. Set fixed limits on variable expenses to free up discretionary money. Put the additional money toward paying off the debt with the lowest balance. After paying off one line of debt, apply the same payment toward the debt with the next lowest balance. Repeat this until all debts are paid. This method allows you to keep spending the same amount on your debts each month, while decreasing the total amount paid over the life of the loans. When debts become delinquent, creditors might give up on collecting from you. At this point, creditors sell the debt to collection agencies for a fraction of the outstanding value. Many creditors will work with you to create alternative repayment plans to keep the debt current. Arranging a modified plan allows creditors to avoid taking a loss selling the debt to collectors. Modified plans change the monthly payments but do not include writing down the debt. 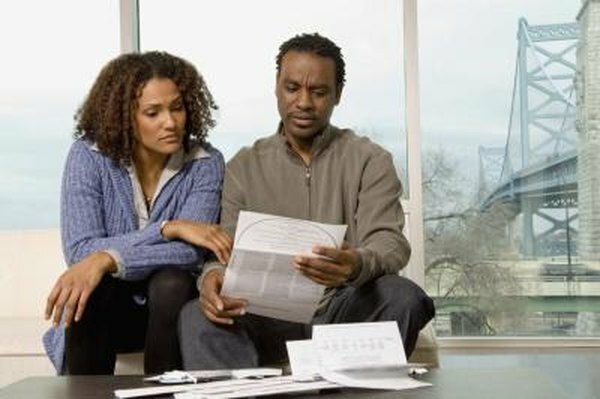 Debt counseling services can provide assistance and advice with establishing a budget or working out a plan with your creditors personally. Sometimes, however, you might not be able to free up money in a budget or make arrangements with your creditors. A certified credit counselor might recommend enrolling in a debt management plan. Under a debt management plan, you make payments directly to the credit counselor for all of your unsecured debt. The credit counselor distributes your payments to each creditor. Additionally, you agree not to use or apply for any credit during the program. In exchange, creditors agree to lower interest rates or waive fees. Some companies claim to negotiate directly with your creditors to reduce the amount you owe, allowing you to pay off your debt for a portion of the original amount due. Many of these companies require that you stop making payments on your debts, which creditors are legally obligated to report even if they later settle your debt. Legally, companies offering debt relief services cannot charge fees until after the creditors have agreed to a settlement or debt reduction. Additionally, settled or reduced debt might be reported as taxable income to the IRS. Some companies might engage in questionable or illegal activities that do not reduce your debt. Inquire with your state attorney general or consumer protection office about any debt relief company before providing them with any personal information or money.